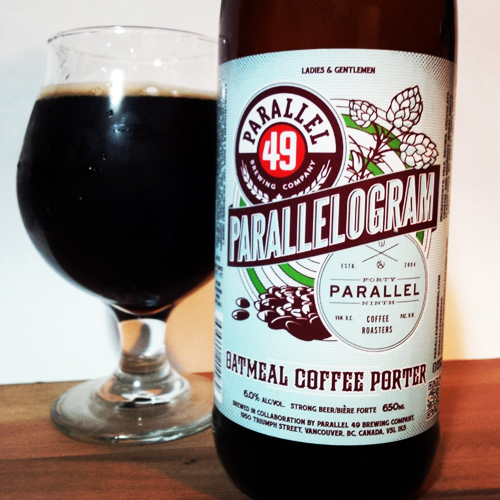 Parallel 49 Parallelogram Coffee Porter: This beer is brewed in Vancouver, BC at a strength of 6% abv in collaboration with 49th Parallel Coffee Brewers. This is actually an oatmeal porter that contains cold brew Ethiopian coffee from the roaster and 23 IBUs worth of hops. Aroma and Appearance: It pours an extremely dark brown colour, looking like a cup of black coffee with a small layer of foam at the top and no visible bubbles. The aroma is coffee dominated, with bits of cherry wood on the edges and some cocoa nibs near the end of the nose. Flavour: Huge on the coffee throughout, up front I got some earthy citrus notes from the coffee beans and a bit of chocolate in the middle. It finishes with some toasted oats and dry cocoa, with black coffee again as the primary flavour. Overall Impression: I like it, but I tend to prefer a creamier texture to my coffee beers, so this wasn’t all I was hoping for at the end of the day. It was more like drinking a cold cup of quality black coffee, whereas I prefer a bit of cream in mine. Also, be sure to drink this one colder, as I found that when it warmed up a bit it actually started to deteriorate from a flavour perspective. Rating: Very Good at 7/10, perfect for people who can drink cold brew coffee without cream and decent for those who are like me. Food Pairing: Go with your usual coffee type parings, almond biscotti or a muffin would pair up nicely with this beer. 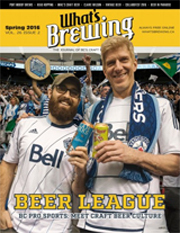 I also had a sample of this at the brewery this past weekend, just to try it out of the keg and between the two there was no detectable difference in the flavours. 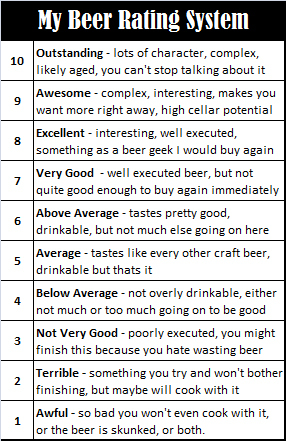 If you ever get a chance, be sure to visit Parallel 49 for a sampler tray or more at their brewery tasting room which is a super fun place to go and serves 4oz tasters for only $1. Well if you like yours a little more creamy make it a lactose coffee porter with some cream or milk lol. Personally not a fan but whatever floats your boat lol.